One Compartment Steel Value Locker From Probe Lockers with a top shelf and double coat hook. Available in 5 different sizes and also in nests of 2 and 3 units to offer even better value for money. 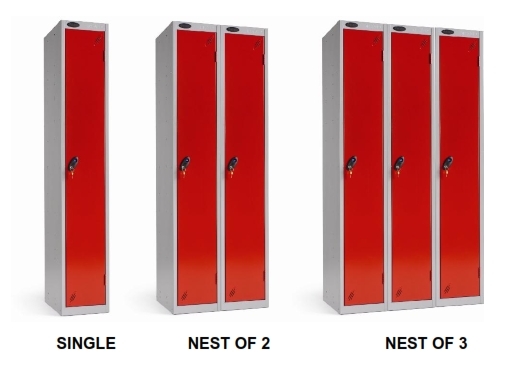 With a range of locker and options.